An Alaska Airlines airplane is out of commission Friday morning while a hazardous materials response team investigates what exactly sickened three flight attendants aboard a flight from Seattle to San Jose Thursday night. Preliminary analysis indicates that de-icing material may have seaped into the cabin and caused members of the flight crew to fall ill, according to Ann Vaninovich, spokeswoman for Alaska Airlines. She said the material, which was determined to be residue left over from de-icing the outside of the plane, is nontoxic. One of the attendants was transported to a hospital, and the other two were treated and released at the scene, officials said. None of the 181 passengers were affected. 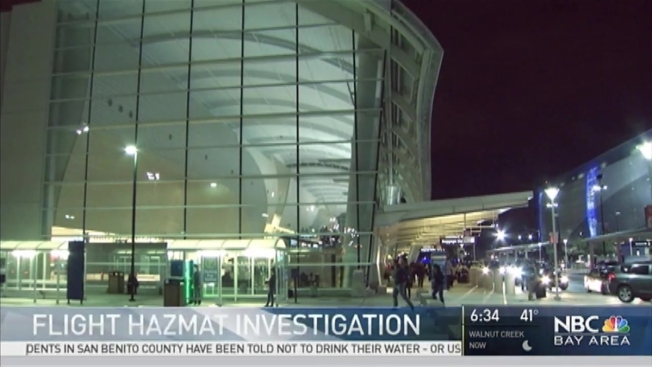 Emergency crews and a hazmat team responded to Mineta San Jose International Airport on Thursday night after three flight attendants fell ill aboard an Alaska Airlines flight from Seattle, according to airport and airline officials. The airline said during the flight a crew member seated in the front galley noticed a light white powder coming out of a ceiling vent. Two of the crew seated in the area reported not feeling well. Pilots radioed ahead for medics to stage at the San Jose airport. 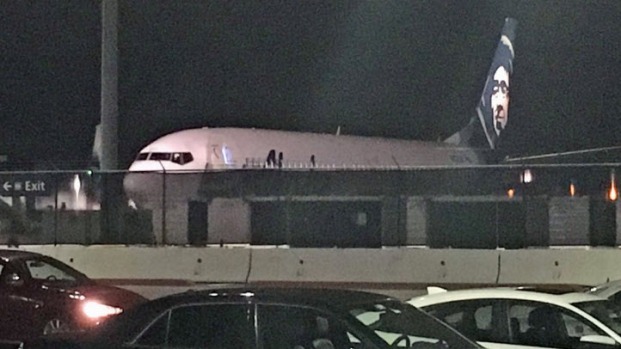 Alaska Flight 322 arrived in San Jose at 6:45 p.m., and emergency crews including the San Jose fire and police departments responded to the tarmac at Gate 26, airport spokeswoman Rosemary Barnes said. Passengers said it made for a stressful few moments. "There was an announcement, and they were like 'Oh, don't panic, but there might be some anti-freeze in the air,' and they were going to bring on paramedics to check it out and make sure everything was OK," passenger Anna Stensland said. The emergency response did not impact the airport's operation.